At Mohali, another happy day for India - Indian lower order built a commanding lead of 134, anchored around Ravindra Jadeja's career-best 90, Jayant Yadav's maiden Test fifty, Ashwin stylish 72 - later Ash’s three wickets left England floundering on 78 for 4, still 56 behind. The runs from the bottom half of India's order has been a feature of their recent Test success and here they enjoyed one of their more stellar days. In total, the last four wickets added 213 to turn a precarious 204 for 6 into a three-figure advantage and it was the first time India's Nos 7, 8 and 9 had scored half-centuries in the same innings. Even many of the ardent fans may not recognise this Cricketer – set to make a record in a Competition launched as ‘Cricket Championship of India’ and named after a person who never played in India, and incidentally had passed away before the 1st ball was bowled ? The man in picture is Devendra Bundela, the tourney is Ranji trophy, the trophy was was donated by Maharaja Bhupinder Singh of Patiala. The first match of the competition was held in Nov 1934 played between Madras and Mysore at Chepauk. M. J. Gopalan of Madras bowled the first ball to N. Curtis. 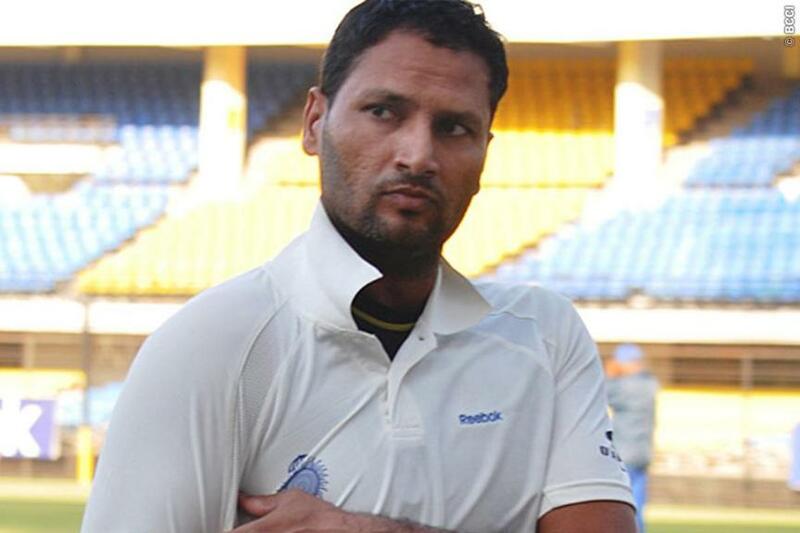 Devendra Bundela, the Madhya Pradesh captain, is two months short of turning 40. At an age where many of his contemporaries are long into retirement and have taken up coaching assignments, umpiring, commentary or lucrative media careers, Bundi bhai, as he is popularly known, still travels the length and breadth of India every year for the Ranji Trophy, a ritual he first started as a 19-year old in 1995-96. Tomorrow, he will play his 137th Ranji Trophy match and surpass his friend Amol Muzumdar, the former Mumbai captain, to become the most-capped cricketer in tournament's 83-year history. Incidentally, Bundela made his Ranji Trophy debut against Tamil Nadu in Feb 1996 for Madhya Pradesh. When he stepped on the field for Madhya Pradesh in the match against Railways in the ongoing 2016-17 season of Ranji Trophy, Bundela equalled Amol Muzumdar’s 136 appearances in Ranji Trophy and is will surpass the former Mumbai captain’s record in the eighth-round game. Bundela has amassed 8755 runs in the premier domestic competition and is the third highest run-getter behind former Mumbai captains -Wasim Jaffer and Amol Muzumdar. Long way from Ujjain, in Madhyapradesh for this great cricketer, unfortunate not to have played for the Nation. Sure, he would have realised this a decade or so back – yet has strived manfully. In Nov. 2012, Bundela became the first cricketer from Madhya Pradesh to play 100th Ranji Trophy match for a single team. In Ranji, such persons are not alone. Saurashtra captain, Jaydev Shah etched his name on the history of Indian cricket by becoming the first player to captain his side in 100 Ranji Trophy matches. The son of former BCCI secretary Niranjan Shah, Jaydev, made his first class debut in 2002 and the left handed batsman since then has represented Saurashtra in 111 matches. People talk of favour, it is then a wonder that Jaydev Shah never came close to playing for India. For those following Indian Cricket fortune, the great amasser in Tests was Sunil Manohar Gavaskar who made 5335 Ranji runs; Laxmi Ratan Shukla made 5324, Madanlal 5270; Rohan Gavaskar himself made 5073, while Sachin Tendulkar did not come close to 5000.